Hulu has announced they’ll be bringing back both Marvel’s Runaways and Future Man for second seasons. The announcement came one day prior to the release of the Marvel’s Runaways season one finale. According to Hulu, Future Man and Marvel’s Runaways will have 13 episode second seasons. Marvel’s Runaways was written by showrunners Josh Schwartz and Stephanie Savage. Schwartz and Savage also served as executive producers with Jim Chory and Marvel’s Head of Television Jeph Loeb. 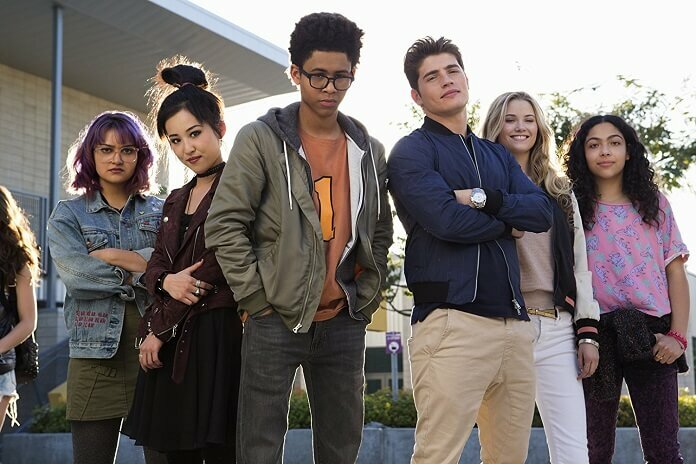 The cast of season one included Rhenzy Feliz (“Alex Wilder”), Lyrica Okano (“Nico Minoru”), Virginia Gardner (“Karolina Dean”), Ariela Barer (“Gert Yorkes”), Gregg Sulkin (“Chase Stein”), Allegra Acosta (“Molly Hernandez”), Annie Wersching (“Leslie Dean”), Ryan Sands (“Geoffrey Wilder”), Angel Parker (“Catherine Wilder”), Ever Carradine (“Janet Stein”), James Marsters (“Victor Stein”), Kevin Weisman (“Dale Yorkes”), Brigid Brannagh (“Stacey Yorkes”), James Yaegashi (“Robert Minoru”), Brittany Ishibashi (“Tina Minoru”), and Kip Pardue (“Frank Dean”). Future Man stars Josh Hutcherson (The Hunger Games film franchise), Eliza Coupe (Happy Endings), Derek Wilson (Preacher), Ed Begley Jr. (St. Elsewhere), and Glenne Headly (Don Jon). The sci-fi series was created by Kyle Hunter and Ariel Shaffir (Sausage Party), with Hunter, Shaffier, Seth Rogen, Evan Goldberg, Matt Tolmach, James Weaver, and Ben Karlin executive producing. The Marvel’s Runaways Plot: Every teenager thinks their parents are evil. What if you found out they actually were? Marvel’s Runaways is the story of six diverse teenagers who can barely stand each other but who must unite against a common foe – their parents. The Future Man Plot: Future Man follows a janitor by day/world-ranked gamer by night who travels through time to prevent the extinction of humanity after mysterious visitors from the future proclaim him the key to defeating the imminent super-race invasion. Josh Hutcherson stars as Josh Futterman, an uninspired and dejected gamer who quickly becomes earth’s unlikely hero.